We at Holy Molar offer excellent, friendly service at competitive rates, using only the latest techniques and materials. We have an affinity for aesthetic dentistry, root canal treatments and implantology, but our services include all aspects of general dentistry. We operate in a beautiful, tranquil environment appealing to all ages and personalities so make your appointment today and bring the family! Check out our website: www.holymolar.co.za. I wanted nice teeth for my wedding, and 2 other dentists quoted me a Fortune for crowns. She fixed my teeth for a fraction of the price, in the chair, and 3 years later I still have a Hollywood smile. She's an artist! 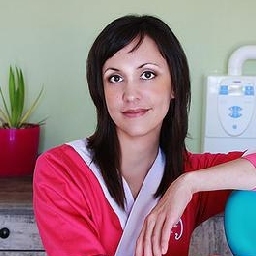 Will follow this woman to the ends of the earth..
Dr Potgieter is extremely good at what she does I recommend her to all. Dr Marique truly went the extra mile for me. She is an excellent dentist, but more than that, she is approachable and one is able to ask her questions and she will give you the answers.